Rudolph Arthur Marcus (born July 21, 1923) is a Canadian-born chemist who received the 1992 Nobel Prize in Chemistry “for his contributions to the theory of electron transfer reactions in chemical systems”. Marcus theory, named after him, provides a thermodynamic and kinetic framework for describing one electron outer-sphere electron transfer.He is a professor at Caltech, Nanyang Technological University, Singapore and a member of the International Academy of Quantum Molecular Science. Marcus was born in Montreal, Quebec, the son of Esther (née Cohen) and Myer Marcus. His interest in the sciences began at a young age. He excelled at mathematics at Baron Byng High School. He then studied at McGill University under Dr. Carl A. Winkler, who had studied under Cyril Hinshelwood at the University of Oxford. At McGill, Marcus took more math courses than an average chemistry student, which would later aid him in creating his theory on electron transfer. After graduating, in 1946, he worked at the Polytechnic Institute of Brooklyn. 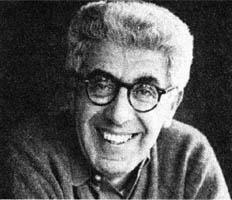 In 1952, at the University of North Carolina, he developed Rice-Ramsperger-Kassel-Marcus theory by combining RRK theory with transition state theory. In 1964, he taught at the University of Illinois. Electron transfer is one of the simplest forms of a chemical reaction. It consists of one outer-sphere electron transfer between substances of the same atomic structure likewise to Marcus’s studies between bivalent and trivalent iron ions. Electron transfer may be one of the most basic forms of chemical reaction but without it life cannot exist. Electron transfer is used in all respiratory functions as well as photosynthesis. In the process of oxidizing food molecules, 2 hydrogen ions, 2 electrons, and an oxygen molecule react to make an exothermic reaction as well as H2O (water). Due to fact that electron transfer is such a broad, common, as well as essential reaction within nature, Marcus’s theory has become vital within the field of chemistry. A type of chemical reaction linked to his many studies of electron transfer would be the transfer of an electron between metal ions in different states of oxidation. An example of this type of chemical reaction would be one between a bivalent and a trivalent iron ion in an aqueous solution. In Marcus’s time chemists were astonished at the slow rate in which this specific reaction took place. This attracted many chemists in the 1950s and is also what began Marcus’s interests in electron transfer. Marcus made many studies based on the principles that were found within this chemical reaction, and through his studies was able to create his famous Marcus theory. This theory gave way to new experimental programs that contributed to all branches within chemistry. Honorary degrees were conferred to Marcus by the University of Chicago in 1983, by the University of Goteborg in 1986, by the Polytechnic Institute of Brooklyn in 1987, by McGill in 1988, by Queen’s University in 1993, by the University of New Brunswick also in 1993 and by the University of Hyderabad, in India, which conferred the degree of Doctor of Science in 2012. Before receiving the Nobel Prize in 1992, Marcus received the National Medal of Science in 1989, the Irving Langmuir Award of the American Chemical Society in 1978, the Willard Gibbs Award in 1988, the Theodore William Richards Award in 1990, the Pauling Medals in 1991, and the Remsen and Edgar Fahs Smith Awards in 1991, the Peter Debye Award of the American Chemical Society in 1988, the Robinson Award in 1982, the Centenary Medals of the Faraday Division of the Royal Society of Chemistry in 1988, Columbia University‘s Chandler Medal in 1983, Ohio State‘s William Lloyd Evans Award in 1990, the Wolf Prize in Chemistry in 1985 and the Hirschfelder Prize in Chemistry in 1993. Marcus has been a Member of the National Academy of Sciences since 1970, and a Member of the American Academy of Arts and Sciences since 1973. He won the Wolf Prize in Chemistry in 1984. In the first video below in the 47th clip in this series are his words and my response is below them. Kroto and his wife, Margaret. 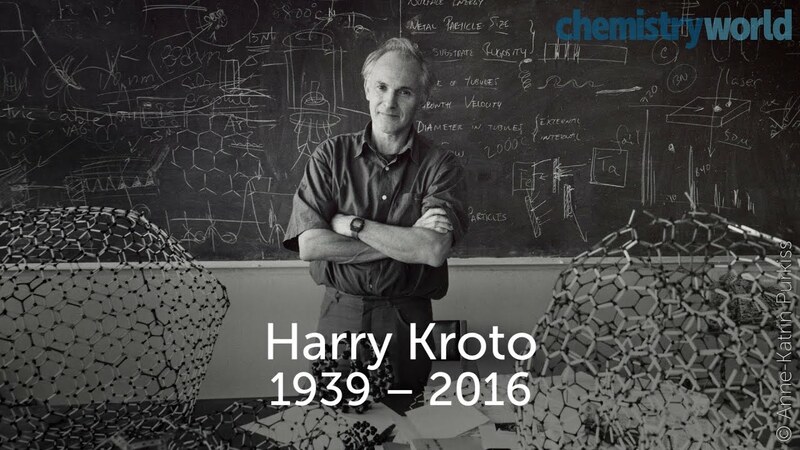 I was very sad to learn of the passing of the great scientist Harry Kroto. Judging from comments of his close friends, Kroto was not only a great scientist but an even better man personally. HAVE YOU EVER WONDERED WHY I WAS PROMPTED ORIGINALLY TO WRITE YOU? It was because Harry Kroto took the time in 2014 to correspond with me. After I wrote him in the spring and summer of 2014 he emailed me twice and then sent me a letter in November of 2014. In that letter he referred me to a film series Renowned Academics talk about God that featured your comments. When my wife died I did see how comforting religion would be if you believed in an afterlife. But that is the way it is. I don’t know what makes some of us believe one thing and other people believe in something else, I haven’t found it and this is true in science also. Some people may feel they have to understand everything. I don’t feel that. I feel that eventually a lot more will be understood. It deals with the subject. It has nothing to do with religion. I believe that tackle certain problems, try to understand those, realize there are other problems that I just won’t be able to solve. I don’t have the expertise. Even if I did I may not be able to solve them, but I’m okay to live with that as long as I can find some problems that I feel excited about, that I know the experimental data and results are there and there has to an explanation. It is that fact actually which has driven us to formulate theories about those things. Just like Kroto I have always been fascinated by brilliant individuals and recently I had the opportunity to come across a very interesting article by Michael Polanyi, LIFE TRANSCENDING PHYSICS AND CHEMISTRY, in the magazine CHEMICAL AND ENGINEERING NEWS, August 21, 1967, and I also got hold of a 1968 talk by Francis Schaeffer based on this article. ISN’T IT AMAZING THAT JUST LIKE KROTO’S FAMILY POLANYI HAD TO FLEE EUROPE BECAUSE OF HITLER’S INSANE GRUDGE AGAINST THE JEWS!!! !I know you don’t believe in God or the Devil but if anyone was demon-possessed it had to be Hitler. I sent you earlier two CD’s of this talk because I thought you may find it very interesting. I was wondering if you had a chance to listen to them or if you can’t find them I would be glad to send them again to you. It includes references to not only James D. Watson, and Francis Crick but also Maurice Wilkins, Erwin Schrodinger, J.S. Haldane (his son was the famous J.B.S. Haldane), Peter Medawar, and Barry Commoner.